Nota is now being used for a great project for students. 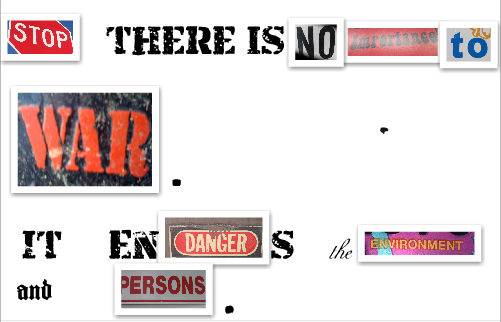 With word-based pictures taken with cell phones and digital cameras, students work on Nota and create a message. Have a look at this great project. They are really creative!